A perfect 10! Amazing 5 bedroom, 4.5 Bath home with finished basement perfect for in-law apartment with outside entrance and garage access. Top of the line finishes with European kitchen cabinets and beautiful hardwood floors. Open concept family room looks out on lovely deck with real fireplace! Master suite is on the main floor with updated tile bathroom and large closet. Dining room able to fit large table and ready for your holiday feasts! Upstairs is another family room with a library alcove and 3 more bedrooms. 2 are joined by a Jack and Jill bath, the other has its own private bath. Large level lot with woods for privacy at the back. 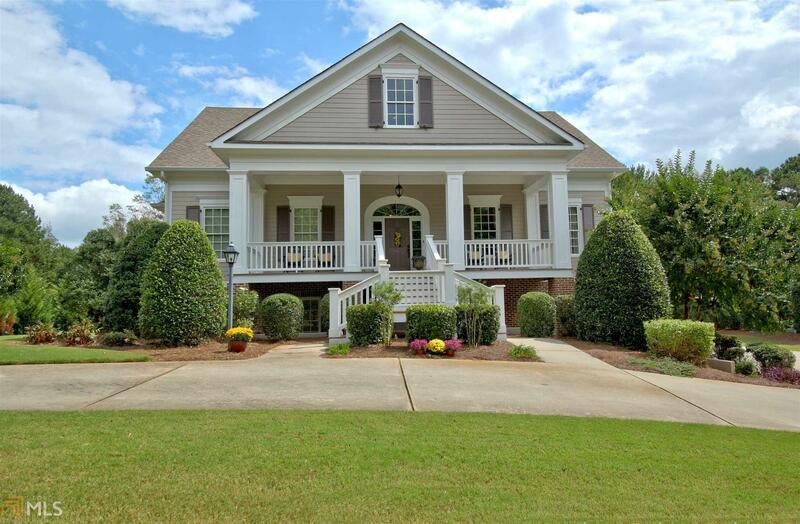 Beautiful neighborhood with amenities galore and best rated schools. Priced to sell! Directions: From Highway 85s Into Fayetteville: Turn Right On Redwine Road, Right On Quarters Rd, Right On Trotters Ridge. House On, You Guessed It, Right. From Ptc: Take Ga Hwy 74 S To Redwine Rd., Turn Left And Then Left On Quarters Rd, And Right On Trotters Ridge.